Independence Day – A Tribute to a Visionary Leader ! Greetings all, We are approaching our Independence day (15th,August) this month, I wanted to expound about a Special Person today as the whole nation has been so proud and has showered their love, affection and respect towards him for dedicating his life to the country . As we have only few days to celebrate our independence day, it’s my dedication and to cherish the dreams that he left for us. I would Introduce him to my kid as an ONLY Respectable leader of India in our (my) generation as I can’t think of any other potential names that SPARKS in my mind. I feel extremely glad and pleased to write about him as I likewise one of the lovable fan of him and needed to meet him at least once yet that doesn’t happened by any means. 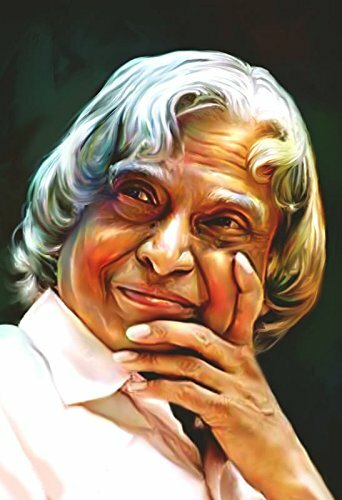 He is born in India, Studied in India, He dedicated his life for India, Raised India to another level , He changed the disposition of western nations towards us, people looked at him as he is one among us, He showed ways for younger generation and advised them to chase their dreams and at-last , He died in India. His ideologies spreaded like a fire all over the nation for younger generation to fly with their Wings. OK, What do these Words Signify Spark, Dreams, Fire ,Wings, … Hope many of you have identified now who the person is 🙂 !!!!!!! We (Tamilians), feel extra pride 🙂 to discuss about Kalam, as he was born in Rameshwaram, Tamilnadu in 15th October 1931. His father Jainulabdeen was a boat owner and his mother Ashiamma was a housewife. 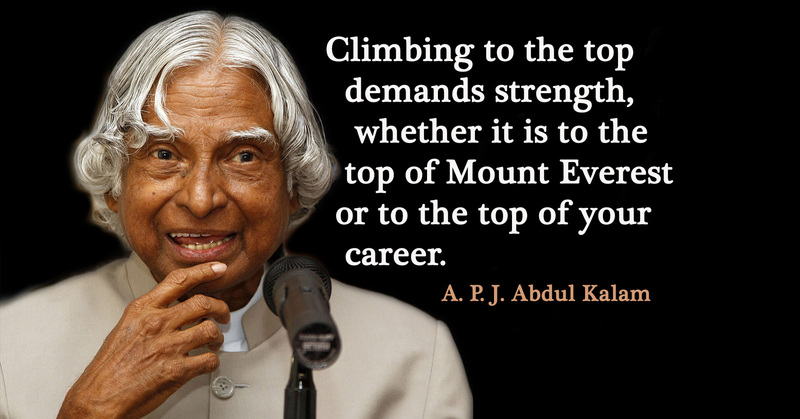 Kalam completed his schooling at the Schwartz Higher Secondary School, Ramanathapuram and got his graduation in Physics from University of Madras in 1954. He moved to Madras (chennai) to study aerospace engineering in Madras Institute of Technology. Kalam missed his ambition of becoming a fighter pilot ,as he came 9th as they had only 8 positions in IAF. After his graduation, he spent almost close to 40 years in Defence Research and Development Organisation(DRDO) & Indian space research Organisation(ISRO) and was involved himself in development of ballistic Missile and Launch vehicles and thus he is called as Missile Man of India. Project Rohini – India’s first Satellite Launch Vehicle (SLV-III). Pokhran Nuclear Test is also called as Operation Sakthi. It was conducted in the year 1998. The Project was led by Prime Minister Atal Bihari Vajpayee at that time. Vajpayee said in a press conference that ” there is no compromise on national security; all options including the nuclear options will be exercised to protect the nation ” . Vajpayee built a strong team with the following members – Vajpayee , Dr. A.P.J.Abdul Kalam, Rajagopala Chidambaram and officials of DAE( Department of Atomic Energy) . Kalam and Chidambaram briefed about Nuclear and Missile Program to the Prime Minister and he asked the scientist to make the preparations for the same. The secrecy has been maintained by the scientists as many higher government officials didn’t know what is happening. A very small group of senior scientists were involved in the detonation process, all scientists were required to wear army uniforms to preserve the secrecy of the tests. On 11 May 1998, Operation Shakti (Pokhran-II) was initiated with the detonation of one fusion and two fission bombs and On 13 May 1998, two additional fission devices were detonated. Kalam, who had supervised the Pokhran-II explosions as the chief of the Defence Research and Development Organisation, camping in the Thar desert for over a fortnight, had said the testing was a “defining moment” in the country’s history. Kalam elected as the 11th President of India with the support of BJP and Congress and often called as “People President“. He never influenced his privileges for himself nor for his family. He set an example for everyone by his simple and humble life even when he is on the presidential throne. Mr. Kalam met guards of the Indo-Tibetan Border Police at the gate and wondered why they had to brave the biting cold. He ordered heaters for the security cabins and adequate warm clothes for the guards. 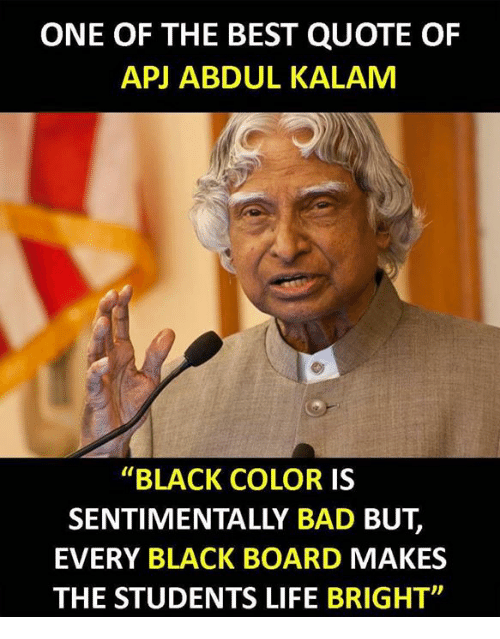 This was just one of the many instances that reflected the humane face of Mr. Kalam but never publicised, says his close aide and senior scientist V. Ponraj. “Simplicity was an inborn quality which he practised till the last. When he was President, the palatial Rashtrapati Bhavan would have hardly two or three rooms lit after dusk. One would be his bedroom. After a long day Mr. Kalam used to spend time listening to his favourite music on an outdated two-in-one tape-recorder,” he says. His family never was part of his privileges. Only once did his family visit Delhi. They travelled in a sleeper class coach from Madurai and a government bus picked them up at the railway station. The family left after the three-day trip. The President’s secretariat was struck by the fact that Mr. Kalam asked the Chief Accounts Officer to prepare the bill for his family’s visit to Rashtrapati Bhavan and paid it. “The President is entitled to many privileges. But he hardly enjoyed any . when the presidential days came to an end, Mr. Kalam walked out with his two suitcases. His assets are the goodwill of the people and some books, nothing else,” Mr. Ponraj adds. In his last few years, he encouraged to plant more trees and he requested Actor Vivek to plant 1 Crore Trees . Actor Vivek will complete his task , but 1 Crore is enough ?? , Maybe his dream of Planting trees can be proceeded by School and College Students by this way – when you anticipate Tour ( School Students ) and Industrial Visit ( College Student) , at your convenience, spend couple of hour on any day on the place you are visiting and try plant trees in that place. 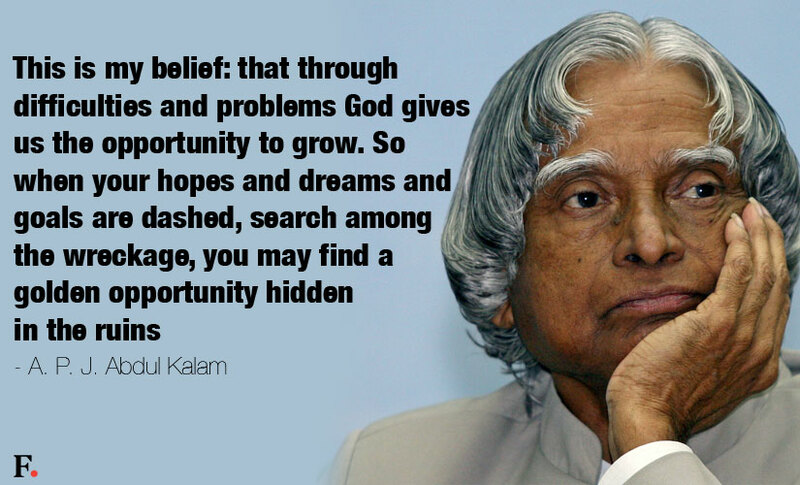 India Vision 2020 was prepared under Kalam and a team of 500 Experts. The growth of nuclear technology, space technology & defense technology. Decrease the rate of poverty and illiteracy, make people educated through media, communities, social networking and increase the Indian market rate CURRENCY by purchasing Indian manufactured goods. 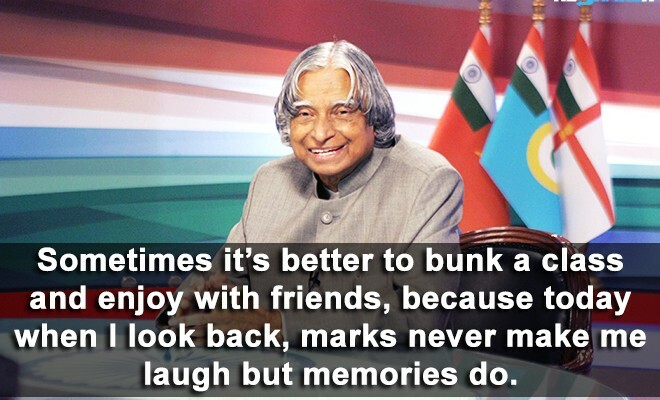 Kalam in his presidential period and after that, he frequently go to schools, universities and numerous Institutions to collaborate with the students. He truly trusted the younger generation of India will improve the nation. In his discourse with the children, he ensured he persuades them and to have them long for the best India for their future to live. Now, the responsibility of the younger generation is to fullfill his dream. One of his speech, he stated, “Our Birth might be an Incident, however, our death should be a history” – it just happen’d to him. 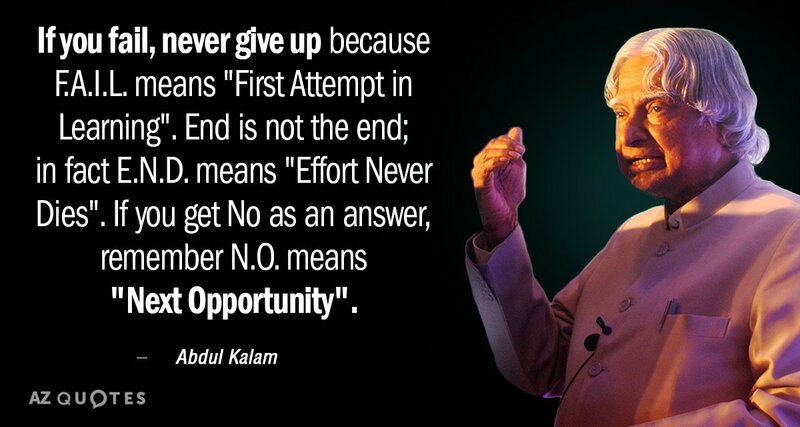 While delivering a Speech in IIT-Shillong , Kalam died in an cardiac arrest. 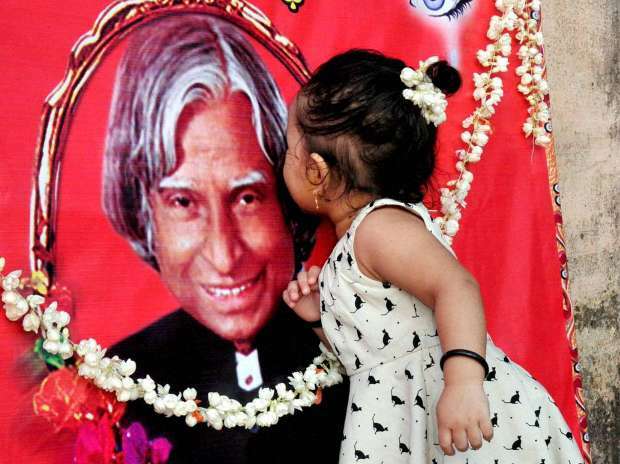 India reacted to Kalam’s death , numerous tributes were paid to the former president across the nation and on social media. When the whole country heard the news of his demise, It was a like a tremor for every one of us and took some time to originate from that stun. According to his family’s desire, his last custom happen’d in Rameshwaram’s Peikarumbu with full state honour and people came from all parts of India to Rameshwaram to pay him the last respect and the National Highways flooded with his digital flex banner. The Government of India declared a seven-day state mourning period as a mark of respect. Throughout the country, People demonstrated their last regard through their prayers and lighting candles. All these happened from the heart as no one compelled any body. Its a first of its kind for me to see such a love and respect for a person , as his demise emotionally touched everyone heart. It doesn’t happened to any politician lately nor a celebrity. He carried & conveyed simple principles throughout his life that captured the people’s heart and rest is history that will be remembered for many more years to come. Visionary Leaders like Kalam doesn’t have any demise as , he will be lived in the people’s heart for ever. Posted in GeneralTagged Bharat Ratna, Dreams, Leader, Missile, Scientist, Tribute, VisionBookmark the permalink. Thank you so much Krishna Priya for your comments. Glad you liked it. I personally feel, the whole nation cried for him and no other leader created such an impact . Yes, He is a Asset for our Country ! Sorry, I’ll do the correction. Actually, When I was posting comment on your post. I saw someone called you…. No need to be Sorry ! 🙂 Its OK .. I have simply no words for this man, APJ Abdul Kalam.. And being a loyal follower of him, I have been always fascinated by his ideals and have gone through his many a famous books.. I must say your this very post has taken me to that feeling of being a proud Indian. I must say you have made a great effort to summarize his life and contribution to India. Hat’s off to you.. Thank you Jaidip 🙂 .. Yes , as I said, ” only ” Respectable leader in our generation is him and I strongly mean it !!!! Thank you Muneeta for nominating my name. Thanks a ton !!! . It means a lot to me !!! My pleasure sir ..You deserve this ..The tribute you gave to Dr.A.P.J Abdul Kalam was really good …..
1.What inspires you to write ? 2.If you get the chance to change something in this world ,what would it be ? 3 .Your favourite book and author ? 4 .What is your definition of being rich ? 5.According to you ,which job should be the highest paying job in this world ? 7.Name any movie that relates with your life ? 8.How would the world of your dream look like ? 9.Which one do you prefer more ?? love or respect ?? 10.Your quote of the day ?